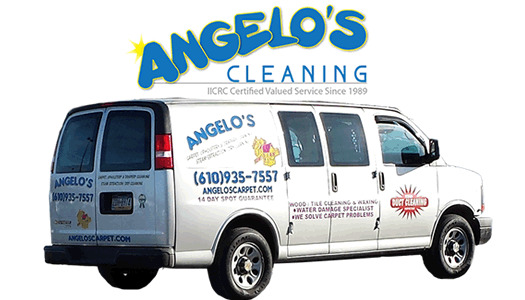 Angelos Cleaning Helps You This Winter! Stone Polishing Services also available! In just the last 10 years, we have cleaned and restored over 45,000 square feet of natural stone surfaces! We use specific stone cleaning procedures and products designed to remove damaging soil and residual contaminants so your stone surface keeps its natural shine. Following the cleaning procedures, we will apply a penetrating sealer to add continuous protection to your stone surface. These stones tend to be softer and more porous in nature. If your floor is ceramic, porcelain or any other synthetic material, please click here for our tile and grout cleaning services page! Marble, Granite, Onyx & Limestone floors should be polished regularly to maintain the shine and avoid the expense of a major re-honing. We offer different diamond encrusted polishing grit pads to bring out the best look your stone surface can give. *Please note there is a minimum charge of $150 for this service. Furniture moving is not included in the pricing and may be an additional charge. If your stone is dull, scratched, and/or discolored, you would need grits 200-1500 to work out the damage. If you then want better shine to your stone, you also need 3000 for a semi-gloss shine and 11000 for a high gloss shine. If there is minimal damage, you can start with 800 grits and work your way up to the shine level you desire. If your stone surface has no damage but is duller than you would like, start at 1500 grits and work up to the shine you desire. If your stone has some shine but you would like it to shine more, choose 3000 and/or 11000 grits to achieve shine that you desire. To maintain shine, use these levels yearly or more often depending on traffic and use. *We understand there are a lot of variables as well as math and measurements that go into calculating the cost to service your stone. We will gladly evaluate and give you a quote if you prefer, just contact us directly. This list consists of our most commonly used products. There may be specialty products needed for your specific floor or situation. We serve the Philadelphia PA surrounding communities including: King of Prussia, Pa, Collegeville, Pa, Paoli, Pa, Wayne, Pa, Villanova, Pa, Exton, Pa, West Chester, Pa, Bryn Mawr, Pa, Chester Springs, Pa, Downingtown, Pa, Ardmore, Pa, Radnor, Pa and the Philadelphia suburbs. View our list of local towns to see all of the areas we service. Watch the video below and learn about saving money! Phoenixville drop off and pick up 9am-5pm during the week and 8am-1pm on Saturdays. Area Rugs drop off and picked up by appointment only at West Chester & Conshohocken locations. ❓Do you know someone in need? 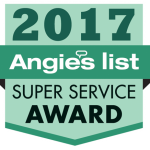 We have used Angelo's four times and the home technicians have always been professional and courteous. Beautiful job each time ! Add your yelp review here! Our Service Areas: Conshohocken, Pa., Downingtown, Pa., Haverford, Pa., Harleysville, Pa., King of Prussia, Pa., Lansdale, Pa., Limerick, Pa., Newtown Square, Pa., Phoenixville, Pa., Pottstown, Pa., Norristown, Pa., Radnor, Pa., Upper Darby, Pa., Villanova, Pa., West Chester, Pa., Wynnewood, Pa.